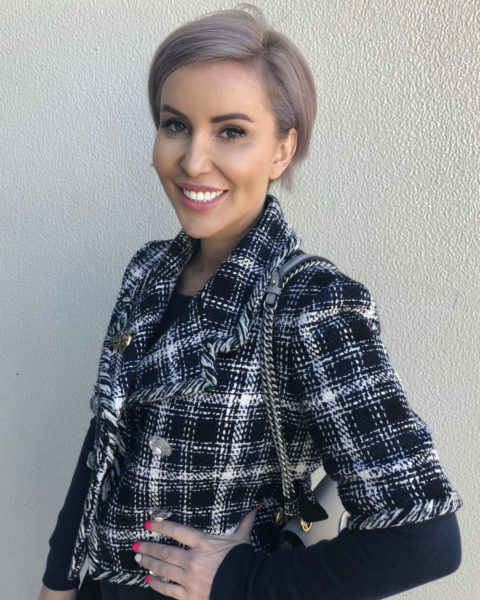 I came up in 1999, at the the beginning of the non-surgical cosmetic revolution in Sydney, Australia, and am now repping for the global injectorati. I’m with Keats, in his belief that “beauty is truth, truth beauty”, and this is reflected in my social media content. The shadowy parts of the cosmetic surgery industry frustrate me. I want transparency to reign, and to let real information be free to reach cosmetic patients (my people). I want readers to gain power by learning the reality of my industry. I want to reduce the knowledge differential between cosmetic patients and cosmetic doctors. I am devoted to this mission of having the best cosmetic surgery information online, but there has been a personal price. Cosmetic medicine lags behind other industries with respect to transparency, and I am the reluctant revolutionary. I’m a cosmetic doctor who loves her job, it’s also my hobby. I am a dedicated cosmetic patient and have had many procedures over the years, and have many more planned. The Manse has such an awesome group of patients. They are the BEST, as you will see!! We are lucky that so many of them consent to me sharing their stories. I’m a medical graduate and a cosmetic doctor based in Sydney. I joined the Cosmetic Physicians Society of Australasia in 1999, and was admitted in 2002 as an inaugural Fellow of the Faculty of Medicine, Australian College of Cosmetic Surgery. I resigned from the College Of Cosmetic Surgery in 2014 when I became a Fellow of the Australasian College of Aesthetic Medicine. I opened a 1 room cosmetic clinic in the Sydney CBD in 2001, and moved it to a terrace in Paddington in 2002. In 2016 I opened a larger, multi doctor clinic in Paddington. In 2018 I bought a property in the CBD to redevelop as second location. I’m also a doctor who presumes to be a writer and content creator. Anyway, you can be the judge of that. I hope you like my content. If you enjoy, please subscribe / follow. Thankyou for your attention, that spread-thin and increasingly valuable commodity of our age. I love my dolls, they are generous and awesome. I am forever grateful to every one of them. I look at it as my own little fashion/culture time capsule. I will be looking at it in 20 years so fondly, it will be ridiculous. Please say YES to being a Doll, guys. REPRESENT! You’re only this young today….. I am a writer, and the Tony Montana reference is merely a pop-cultural metaphor, which is intended to be interesting and even hopefully funny. Clearly for those who have seen the iconic movie and have one third of a brain, it is also hyperbolic. For those who don’t understand it, think harder, it’s hardly enigmatic. As a doctor, those who know me know that I’m a conservative nerd. As a writer, it’s the opposite, I get my real kick of freedom. I know only too well that this particular statement and countless other pieces of content I have created has offended people. Despite having paid for that in stress, time and money, I still cannot find it in myself to compromise my content, to fit in with an outdated and pointless stereotype. I have done nothing wrong. Give me a break and get a real villain would you. I find it ridiculous and bordering on obscene that I even have to write this freaking lame explanation of my words. “Satire is enjoyable compensation for being forced to think” I’m in a bind. I feel it is my duty to attempt to force my readers to really think hard about this topic. Why else would I bother? So if I don’t compensate these poor readers, why would they come back? So please, if you lack the skills to understand or cope with satire, farewell, it’s not you it’s me…. Find me a more entertaining and appropriate metaphor with as awesome imagery and I’ll use it. After all of this trouble, I’ve been trying, unsuccessfully. If you want conservative writing, don’t let the door hit you on the way out. * The hard-sell drivel, stock photos and desperate calls-to-action in other cosmetic surgery websites. * Or worse, the ubiquitous, creepy, sexist and misogynistic breast implant marketing efforts. The above rubbish sure offends me, SO I LOOK AWAY. Although I’m a doctor, I don’t believe that this should limit my freedom to attempt to write in an entertaining manner. Writing is my art. I love my industry. I love cosmetic patients, they are my people. I want to serve them, and that means giving them as much important information as I have the ability to give. My “problem” is, I can only give it from the heart.